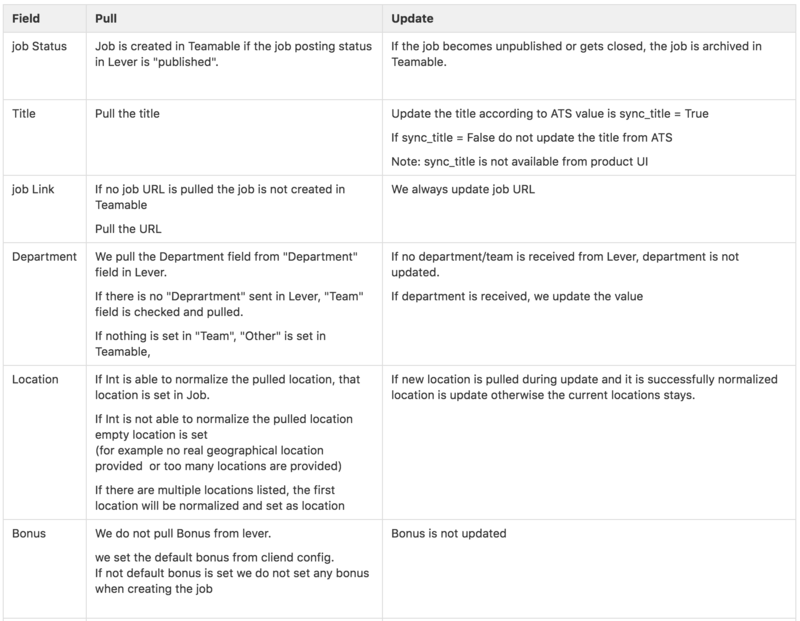 It's easy for you to connect your Greenhouse, Lever, or JobviteATS to your company's Teamable account, allowing you to quickly synchronize published jobs, prospects (leads), and candidate statuses. In this article, we're going to look further into job synchronization specifically. Job synchronization means that any time you create a new req in your ATS, we will create that job in your Teamable account. This means that any activity that occurs in Teamable for talent messaged will result in prospects (leads) being associated with that job in your ATS. We only create jobs for publicly available/published jobs, not jobs that are opened but kept internal or private. 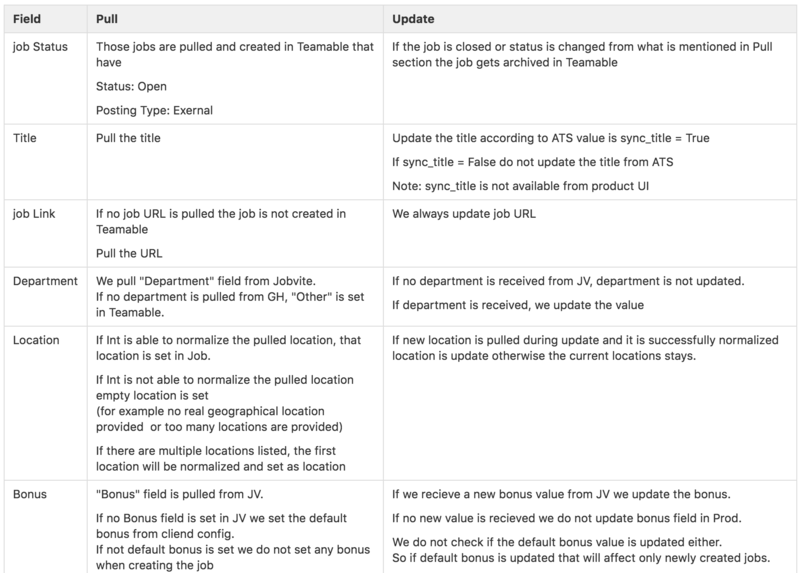 By default all new jobs will be set to be public in Teamable and for auto approval to be turned on, meaning anyone messaged by a team member won't have to wait for the recruiter to approve before the message goes out. Read more about job settings. We also create a Boolean search string under basic info for every job opened in Teamable to make sure the prospective candidates displayed are optimal. Q: How often does the job synch happen? A: We perform two synchronizations. Approximately once every 30 minutes, we query your ATS and write to our Integrations server, and instantly update the jobs on your company's Teamable jobs page. 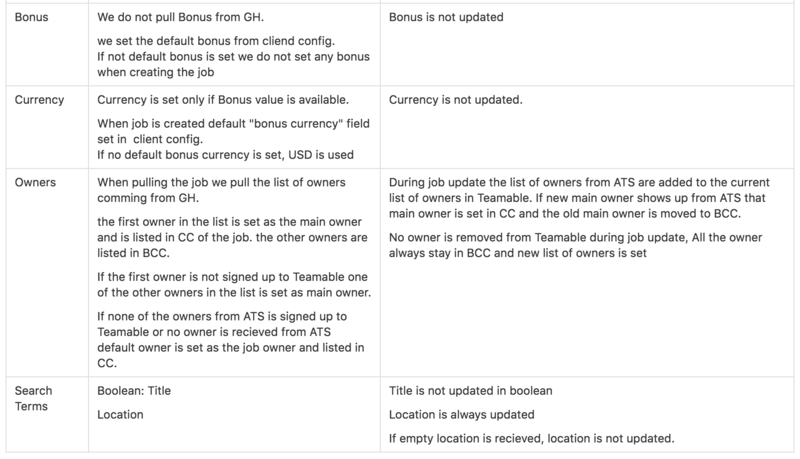 Any changes to publicly available jobs (for example a job has been filled and archived in your ATS or a job owner has changed in your ATS). Any new jobs that have been published/publicly available. We also have a secondary "safety net" process that runs from the product side. This process executes approximately every 6 hours for all customer accounts. 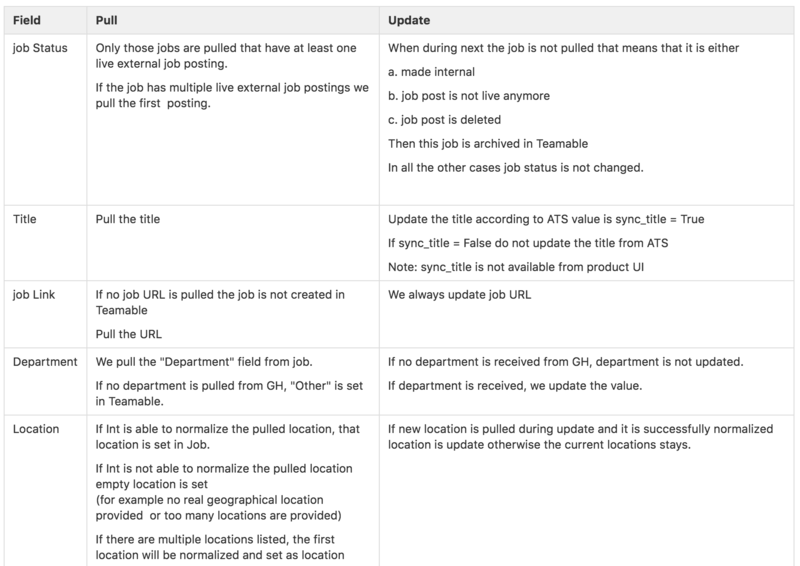 This ensures that any jobs that weren't picked up from synchronization one are updated (for example, in cases where the synchronization didn't complete due to a time out issue or other unexpected error). Q: What are the specifics for Greenhouse? Q: What are the specifics for Lever? Q: What are the specifics for Jobvite?